Since last year we’ve added a bookcase to our kitchen, and of course I want it looking magical for the annual Halloween party. I decided I wanted one of the shelves covered with wizarding books, or at least looking like it was. 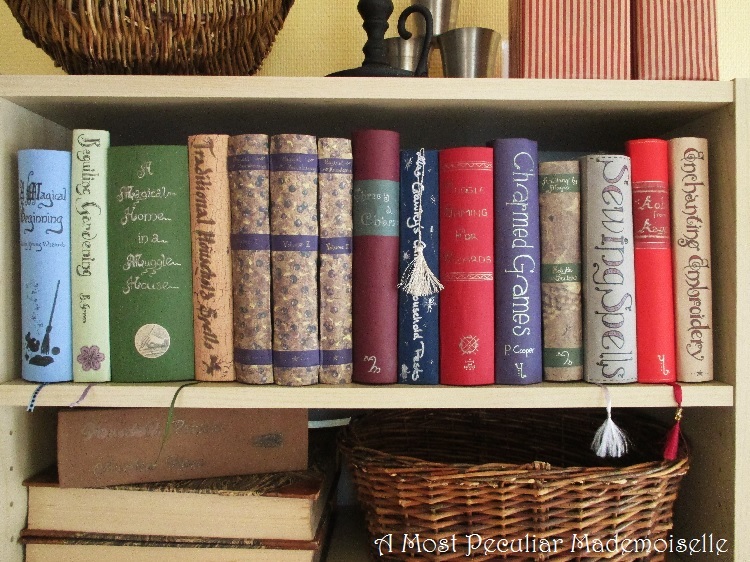 I made a number of false book spines to give the illusion of a row of books. The faux books also hides the bins containing the children’s craft supplies that sits there, and I won’t have to shove them in a cupboard for the party. 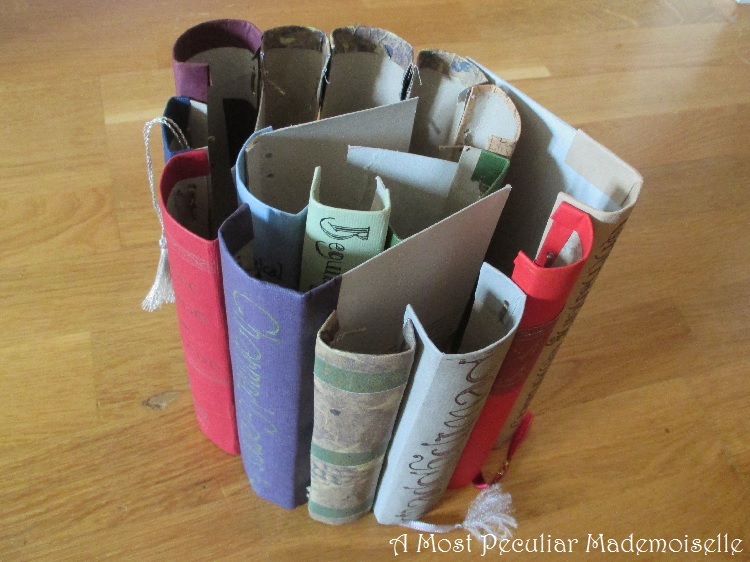 I made the “book spines” from empty kitchen towel rolls and scrapbooking paper, on which I wrote the titles, by hand, looking at different fonts found on Pinterest for inspiration. For some I used gold or silver pen, on others I used coloured ones. 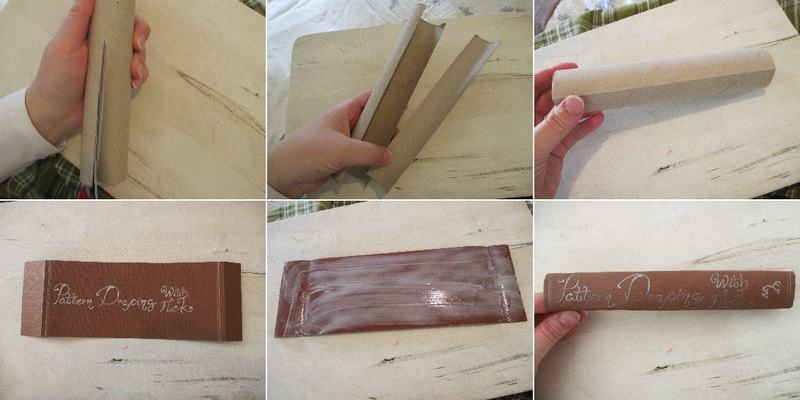 More than one paper was used on some books to create different looks. 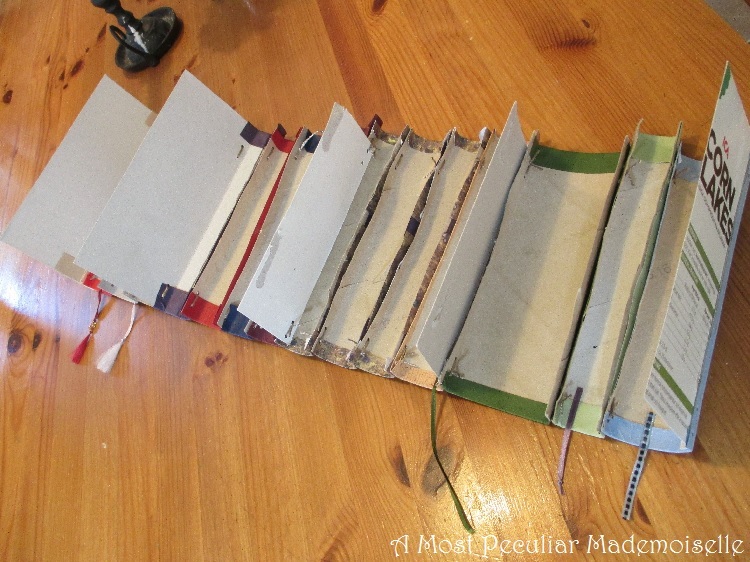 I glued on pieces of ribbon on the back of some of the spines, for bookmarks. I had a silver tassel that I made for last year’s party, but as it didn’t look good on the potions bottle I intended it for, I used this for another bookmark. I made the titles up myself, trying to make them fit into the magical world, and matching our real life situation and interests, so there are books on housekeeping, child care, textile crafts and gaming. I tried my best to make the books as diverse in style as real books can be, but as they all came from the same mind and hand, those who know me well instantly recognise my style. I drew some “publisher logos” at the bottom of some of the spines, to make them more real looking. After all the spines were finished, I punched holes at the sides of them at top and bottom, and tied them together. Now I can easily shift them around or add more “books” some other year if I want to. Connecting them with brads might have been simpler, but this is still a work-from-stash-year, and while I don’t have brads I do have all kinds of string, yarn and thread. I can upgrade in the future. 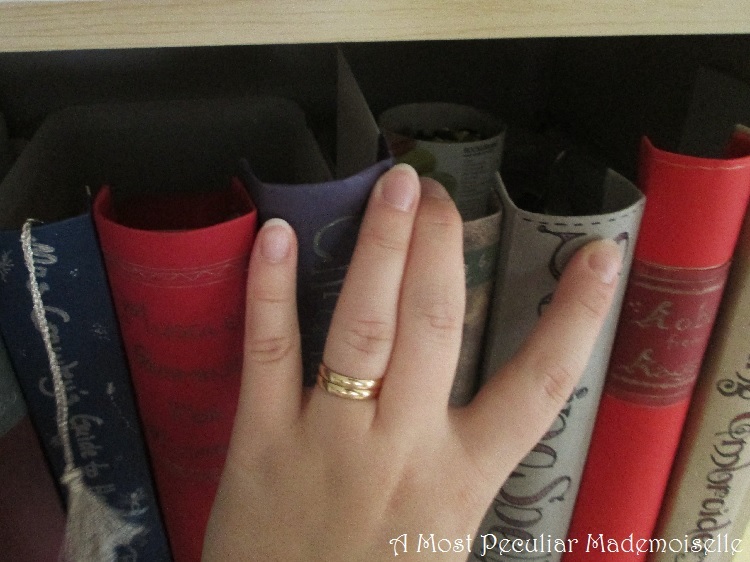 With regular intervals I’ve glued on pieces of carton to a book spine, so that I can push it in between the craft supply tubs and prevent the “books” from falling off the shelf. Again, by rearranging the spines, I can fit them around other things in future. They will store pretty easily too – I can just roll them up and put them in a box with all the other Wizarding party decorations. All in all, I’m quite pleased with how these came out. A couple of the first ones I made are no more than tolerable, but half hidden while lined up with all the others, they look OK. A couple of them I’m very happy with indeed. Now, I did style the other shelves for the pictures as well, it just looked too weird with all the Muggle stuff that’re normally on them. That was quickly done, as we have old, old-looking and/or nerdy things all over the house. I’ve made other books as well, functioning somewhat differently. I will post those later, even if I started making them first. If you would make up a wizarding book title based on your own personality and interests, what would it be? These are incredible! They look so real. I'm continually amazed by your ability to make something wonderful out of almost nothing. 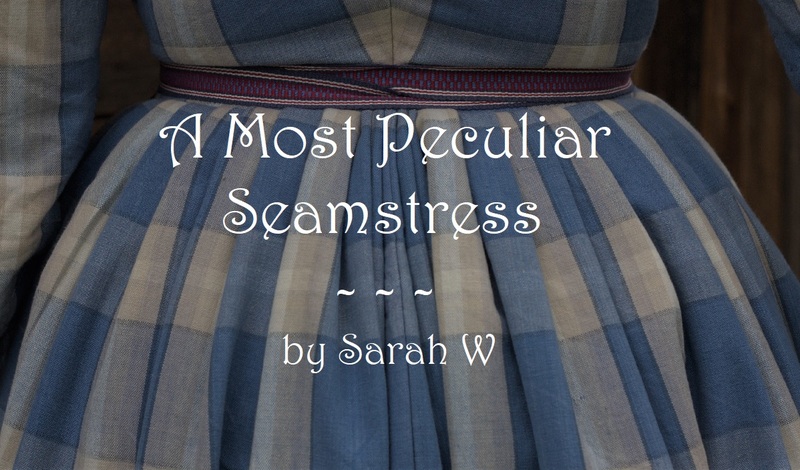 I found myself wishing they *were* real books so I could read them, especially Sewing Spells! 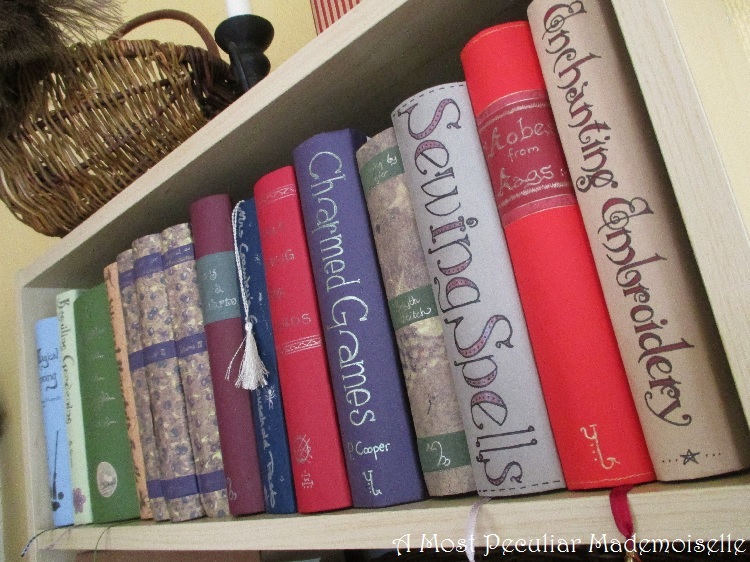 I made up titles on books that I (or my husband) would like to read myself – I always preferred the practical spells – how many times have I wished that 'accio' would work for me – and to have a magical way to realise all the things I'd like to sew would be fabulous.